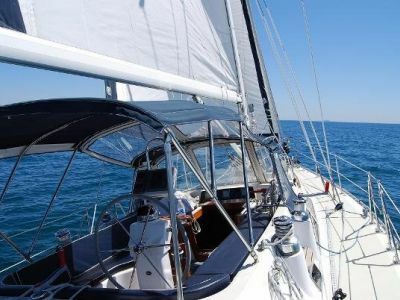 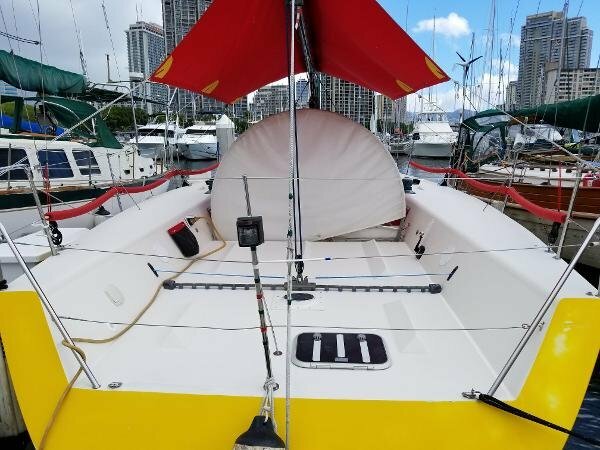 Like the smaller Farr 40, the Corel 45 is a non-overlapping headsail sail plan with no running backstays or check-stays making the boat very easy to sail. 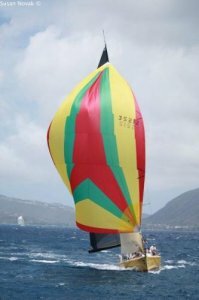 This simplified sail plan combined with generous downwind sail area means the Farr Corel 45 performs well in both IRC and ORC handicap rules. 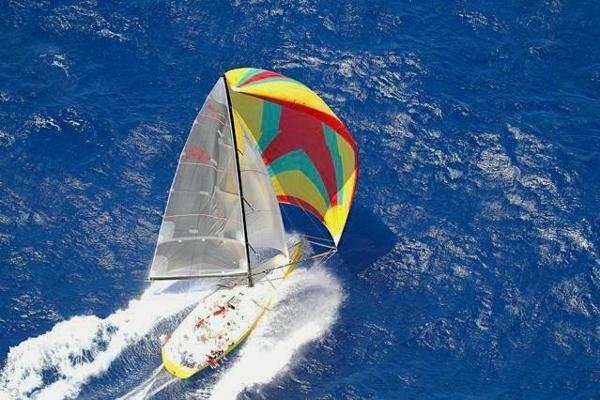 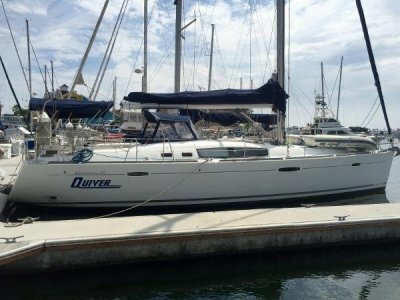 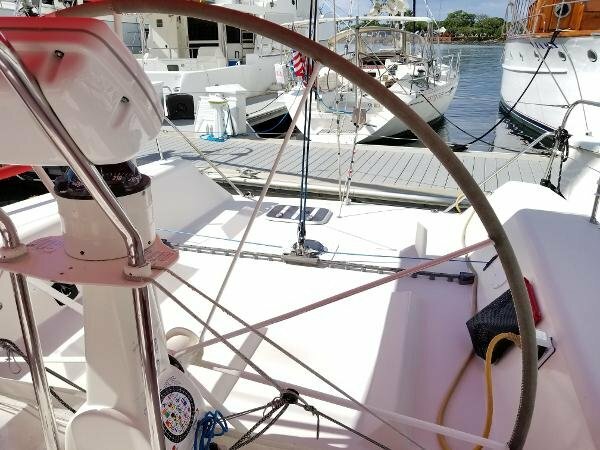 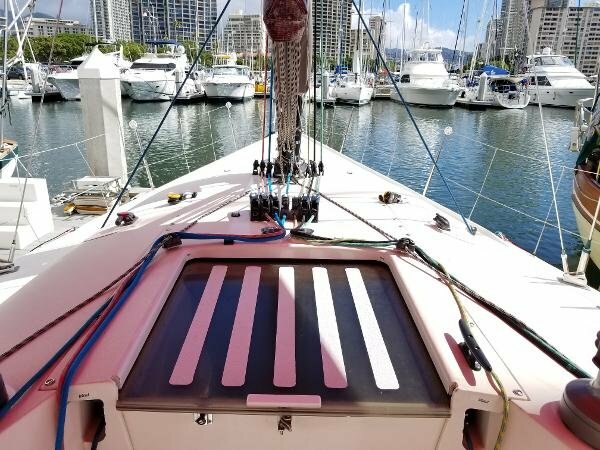 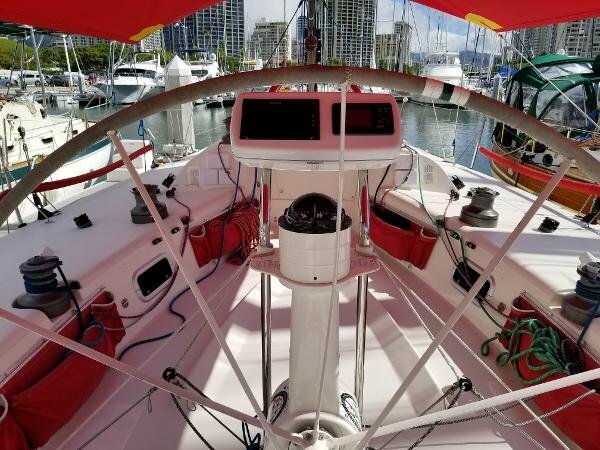 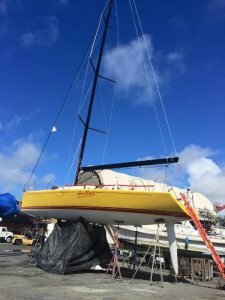 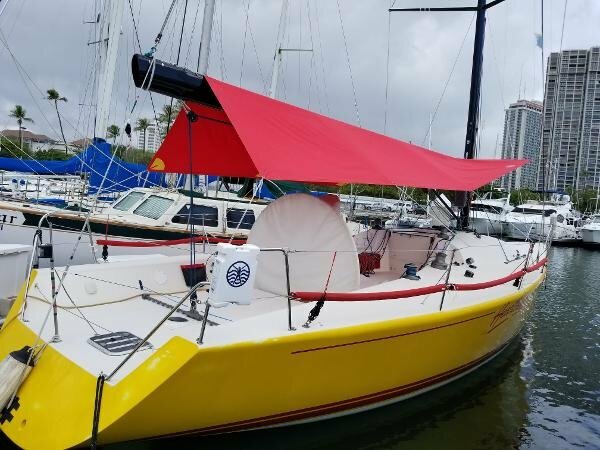 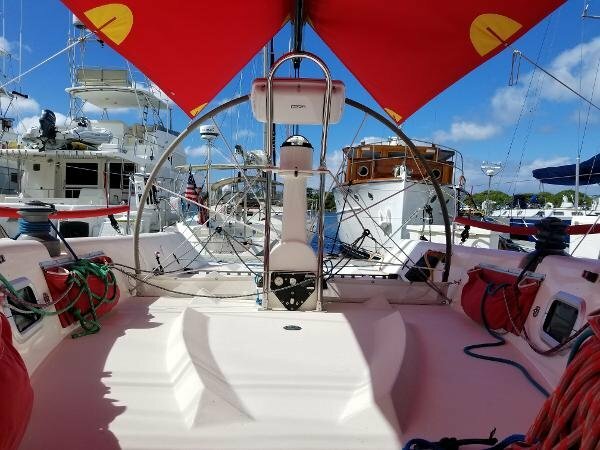 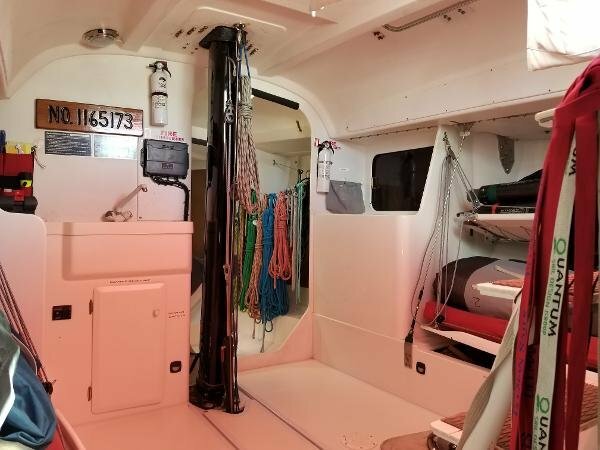 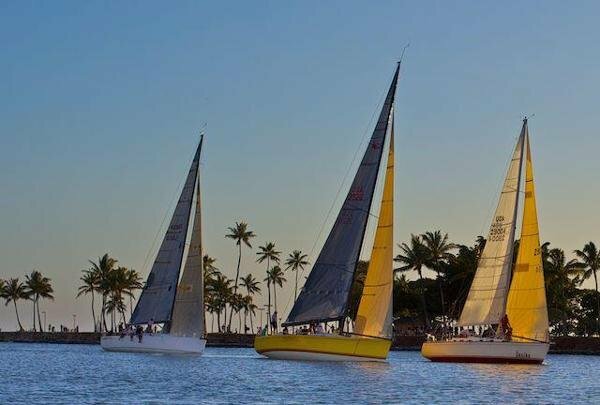 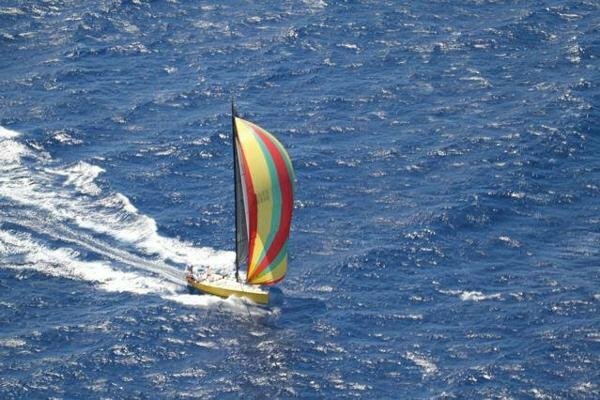 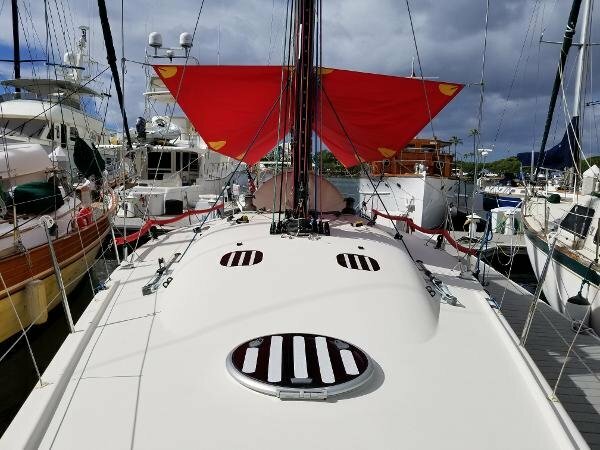 This particular Corel 45, Heartbeat, performs well in IRC and ORC handicap rules and has swept every Statewide Championship that exists in Hawaii. 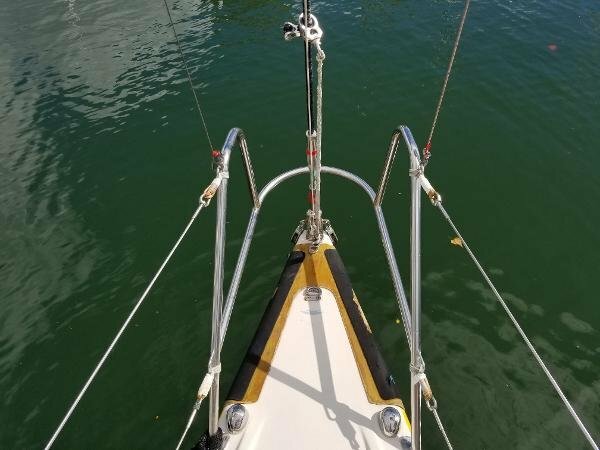 I have personally raced this Corel 45 many miles and she is an absolute joy in all conditions. 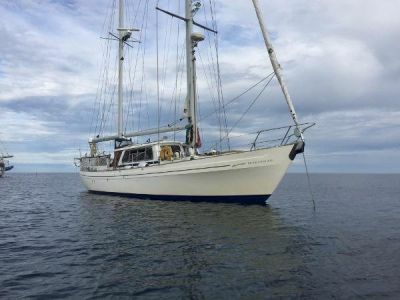 The current owner has spared no expense over years to ensure she performs well against the competition. 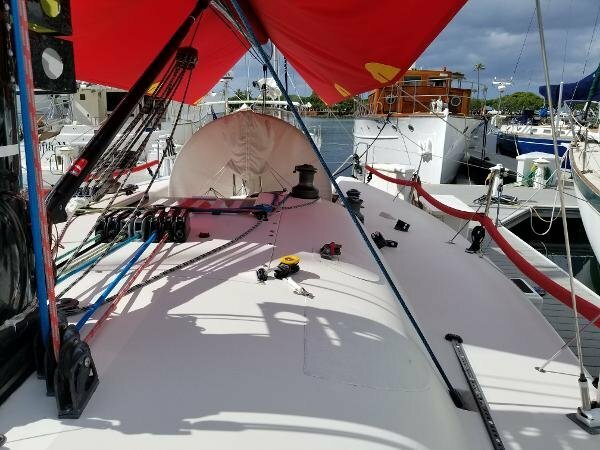 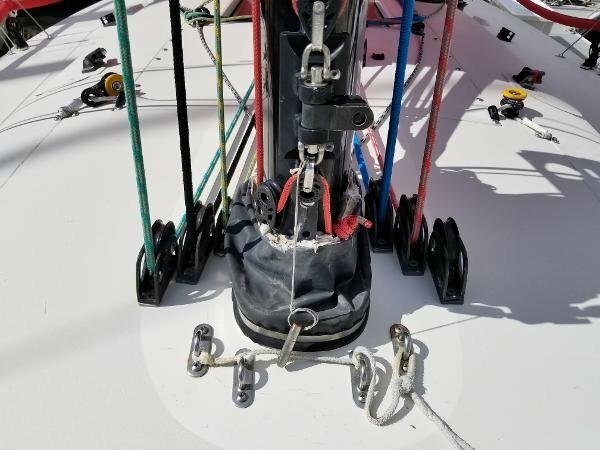 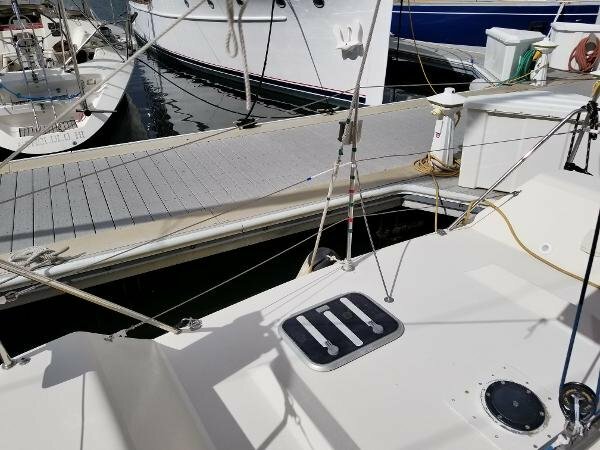 The boat comes fully optimized for racing with brand new bottom paint, a new suite of North 3Di sails, and all the safety and gear needed to compete at a high inshore or offshore level of racing. 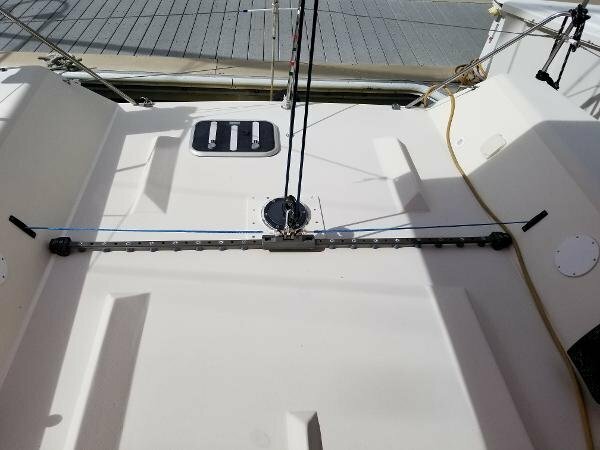 It be will hard to find a better-maintained racing package in this price range. 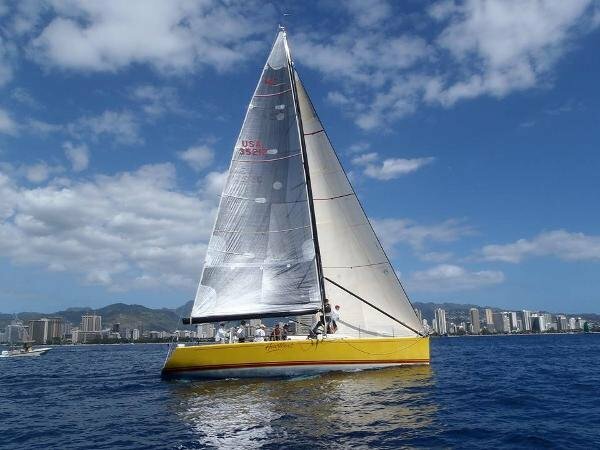 Call, text, or email for more information or to schedule a private showing in beautiful Hawaii.